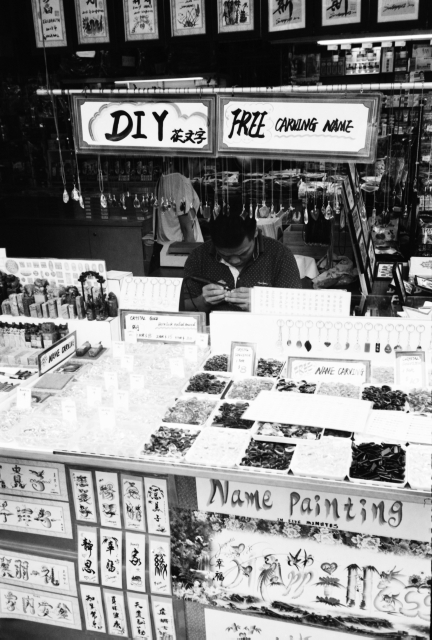 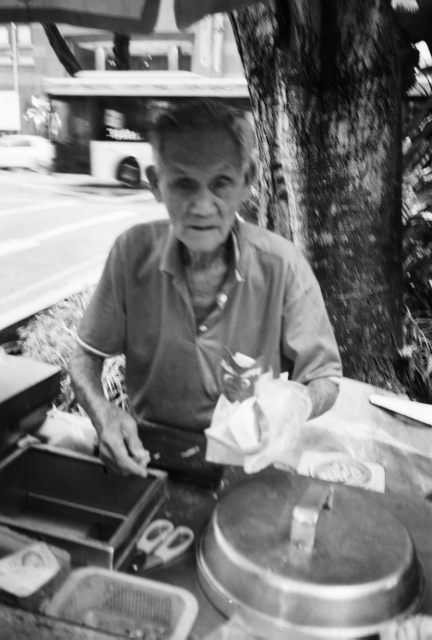 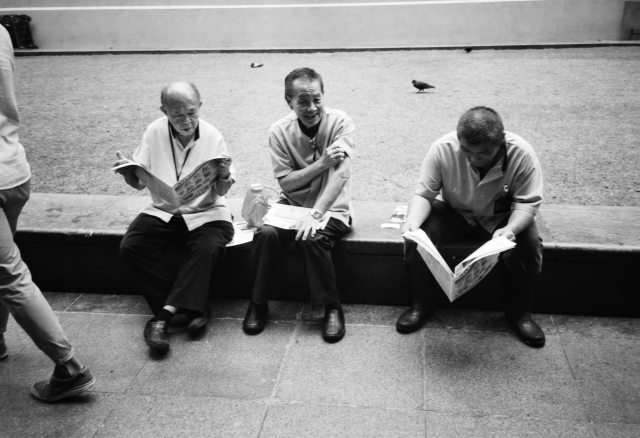 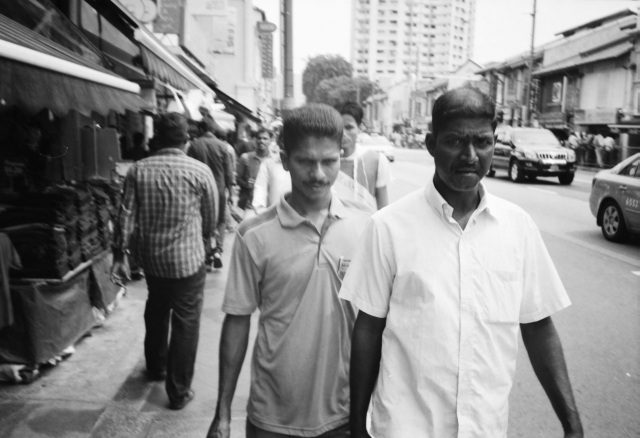 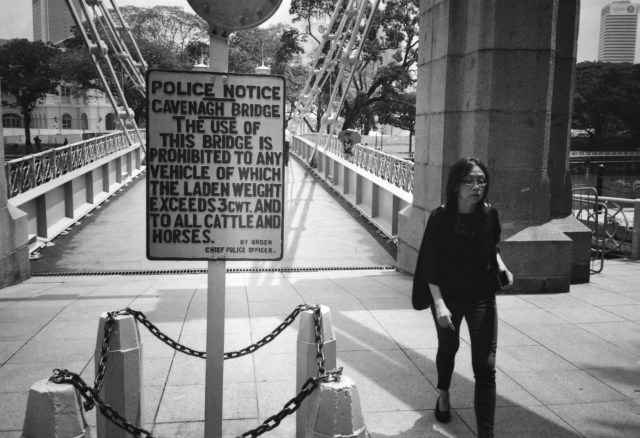 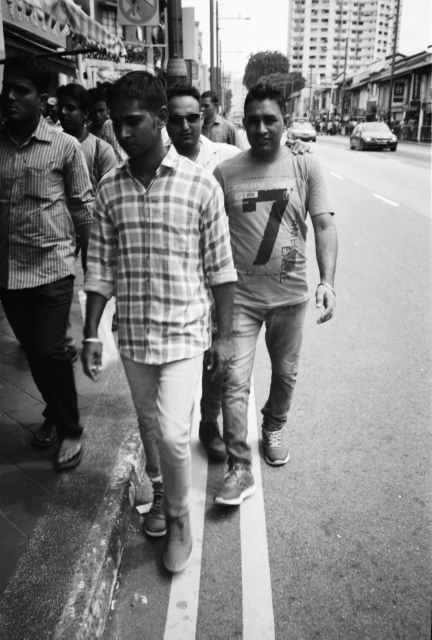 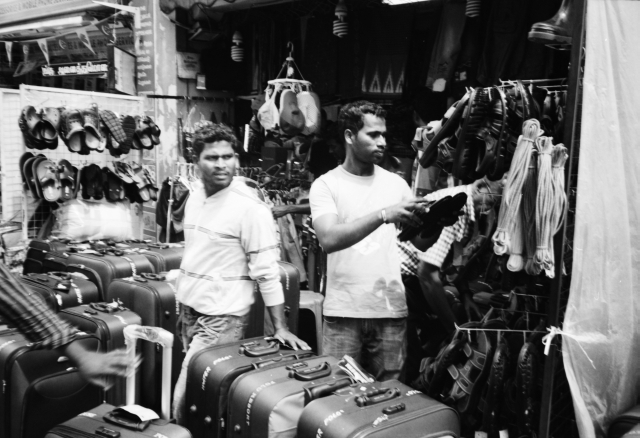 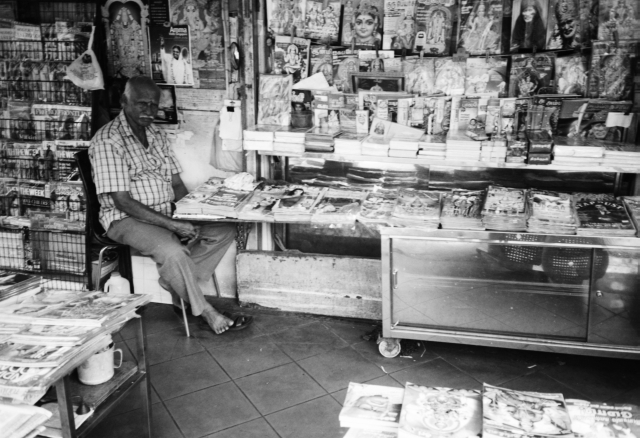 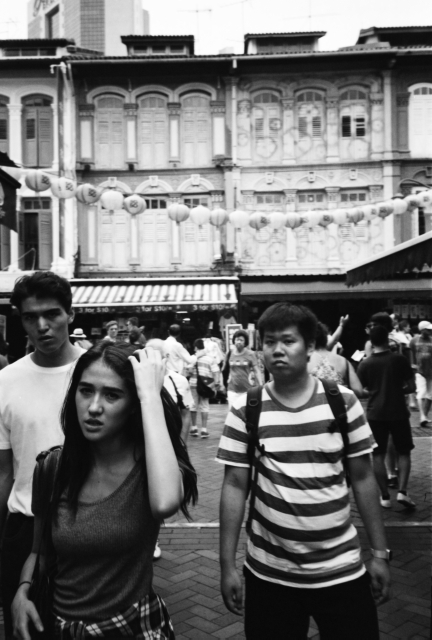 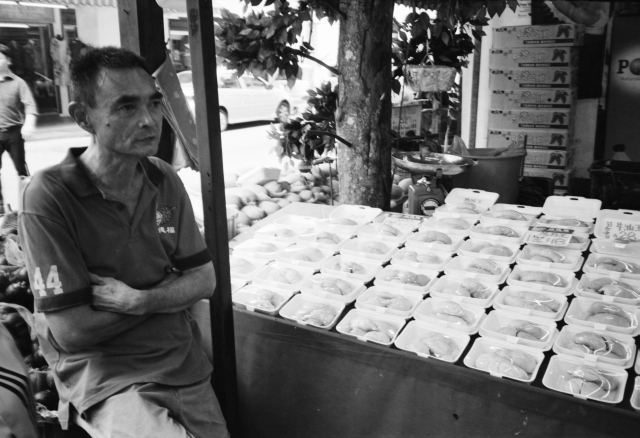 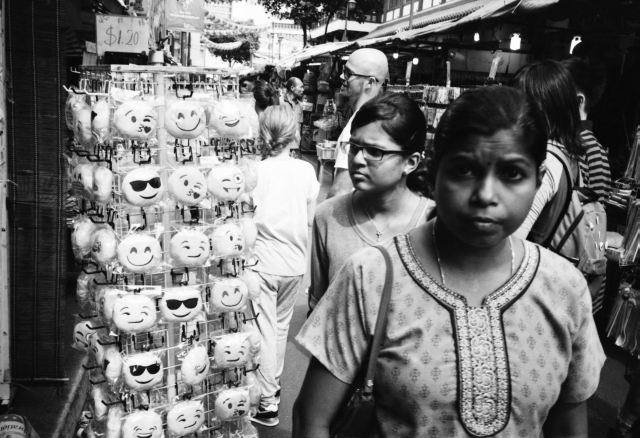 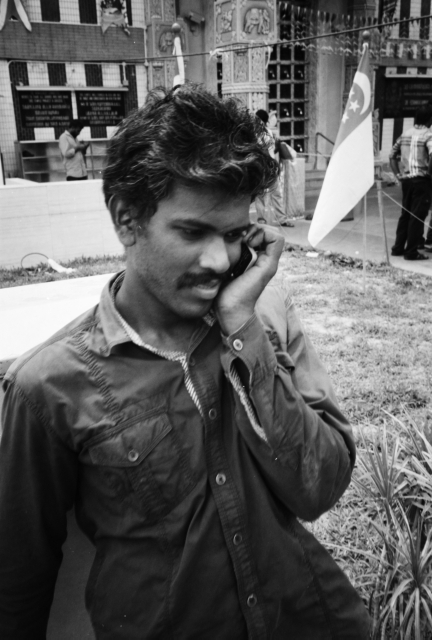 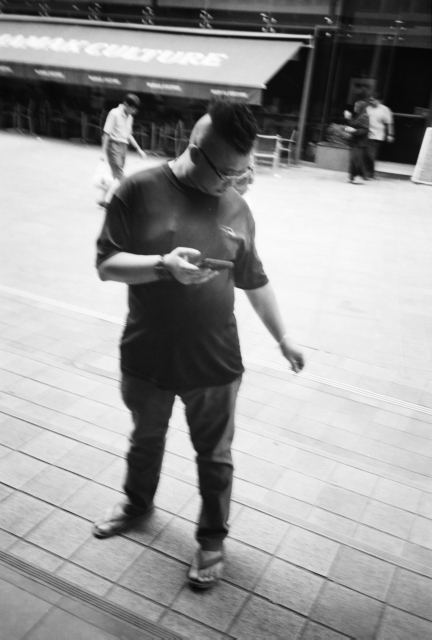 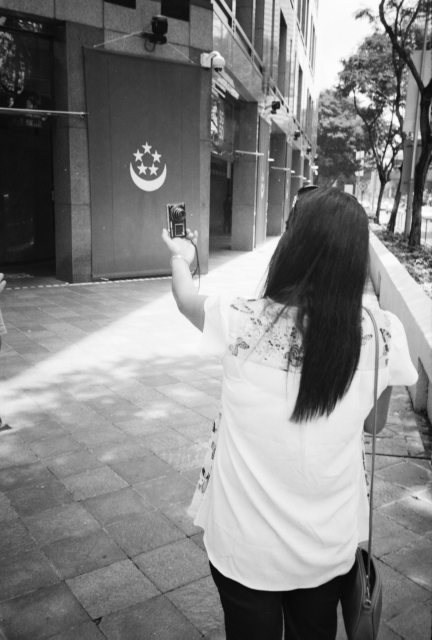 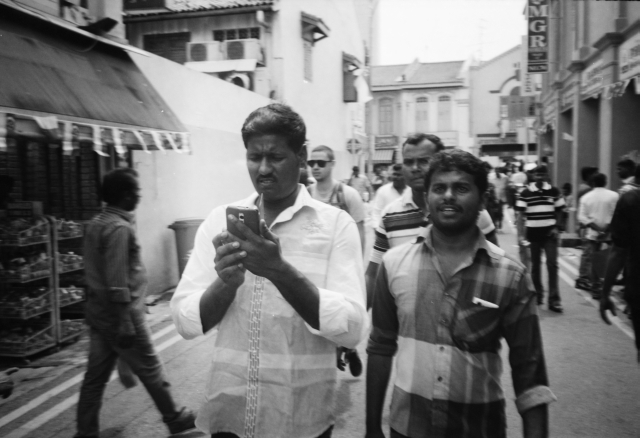 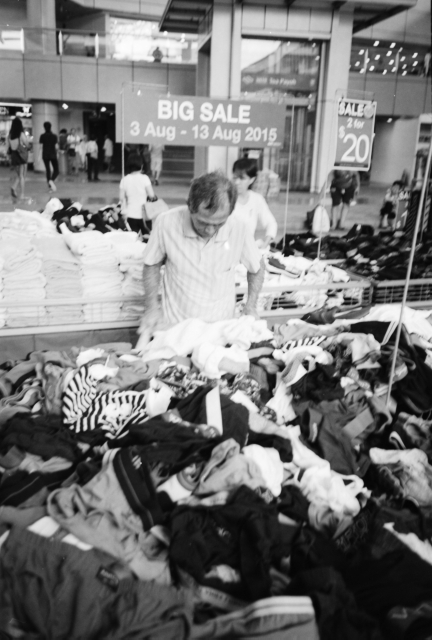 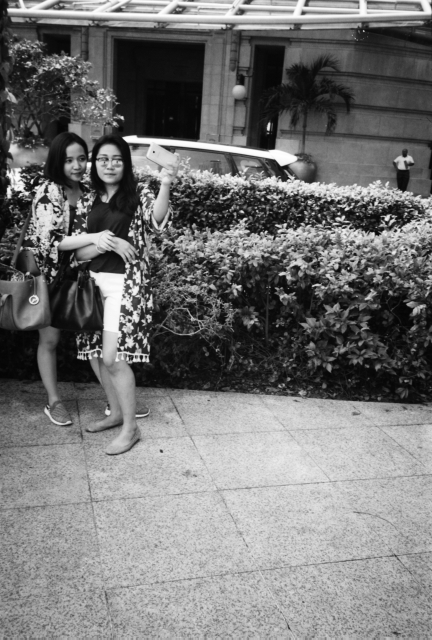 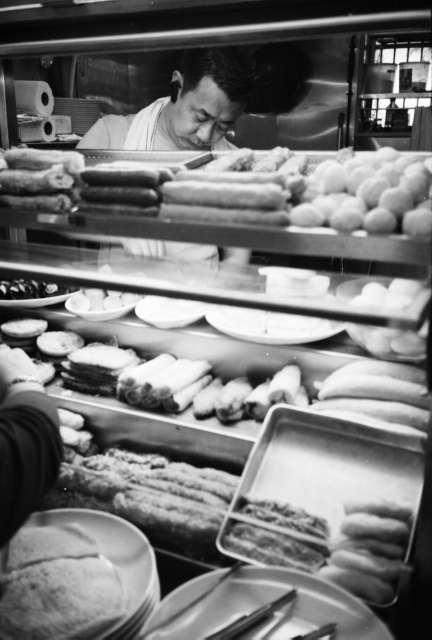 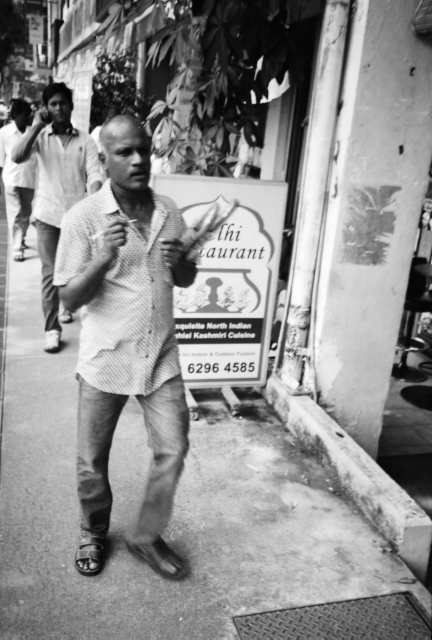 These are b/w street photographs of Little India. 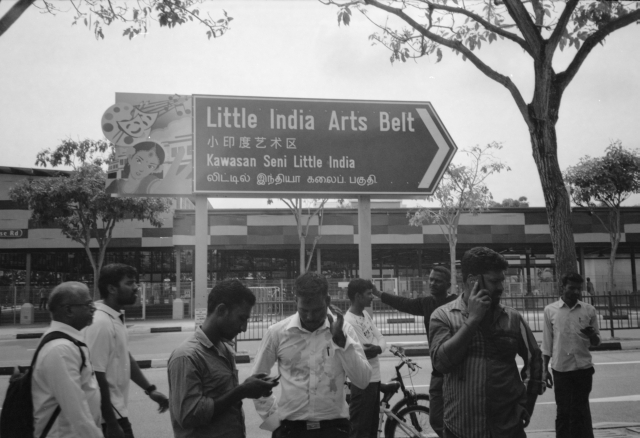 Think of these as a nod towards Aik Beng Chia’s work on Little India. 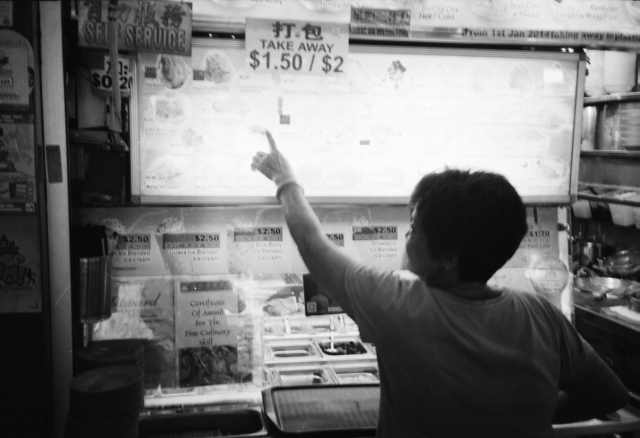 Check out his excellent work Tonight the Streets Are Ours here and here. 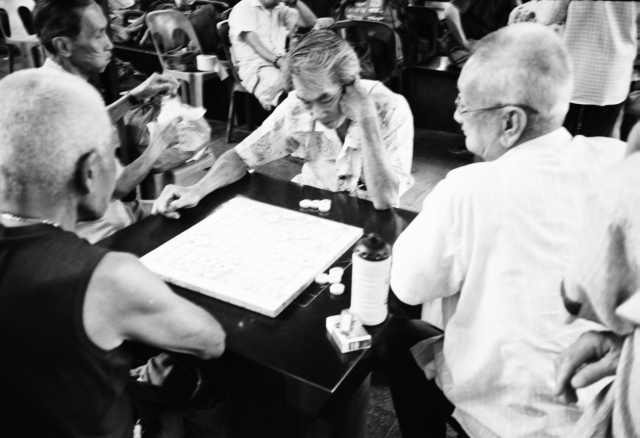 There’s definitely a strong sense of community here. 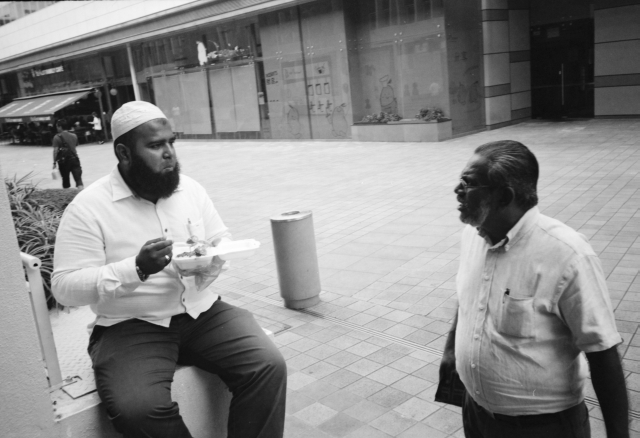 People are always in touch with one another. 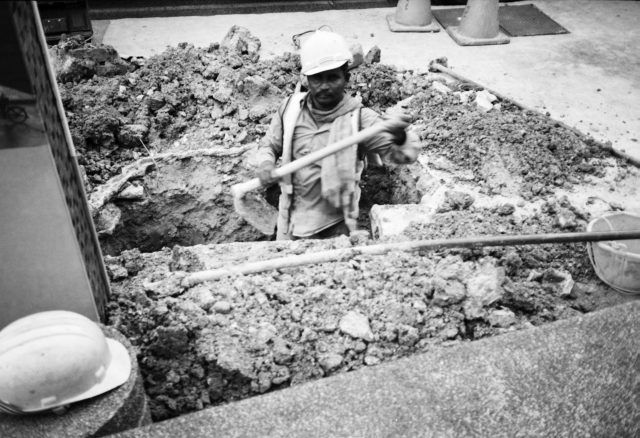 The streets are institutionalized and framed. 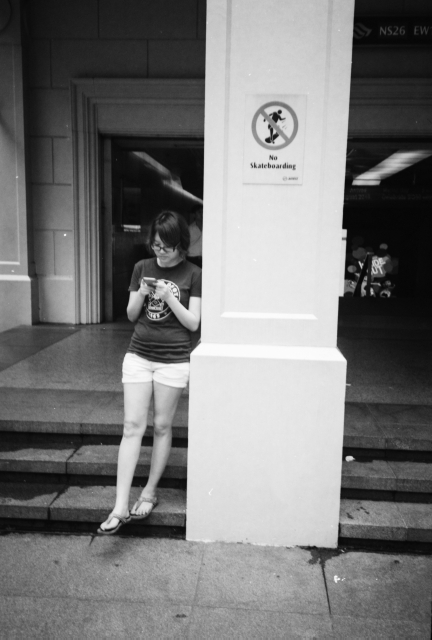 That doesn’t mean we should stop searching and looking. 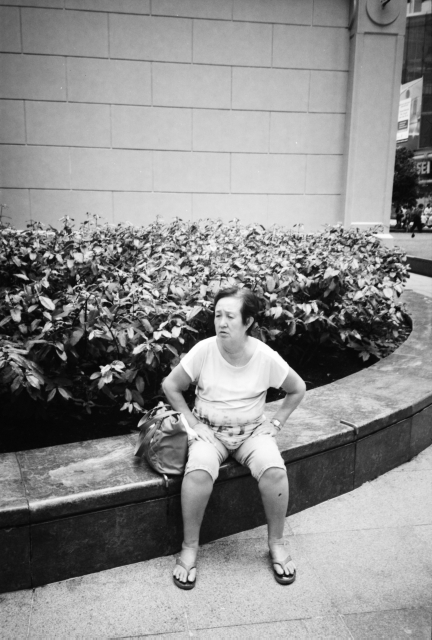 That’s the courtyard between the 2 main exits of Raffles Place MRT station. 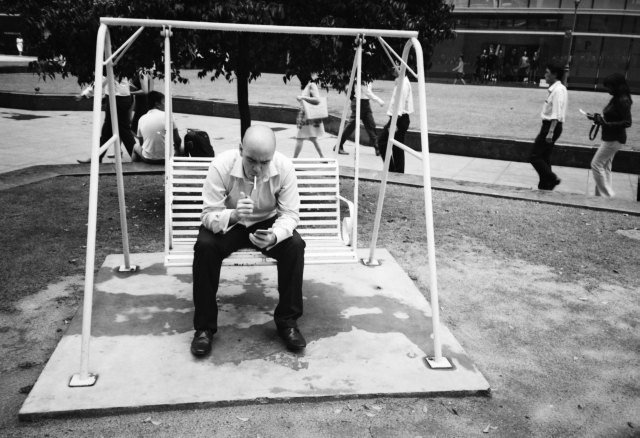 Lunchtime – that funny, in-between time that is part-leisure, part-work, part-consumption. 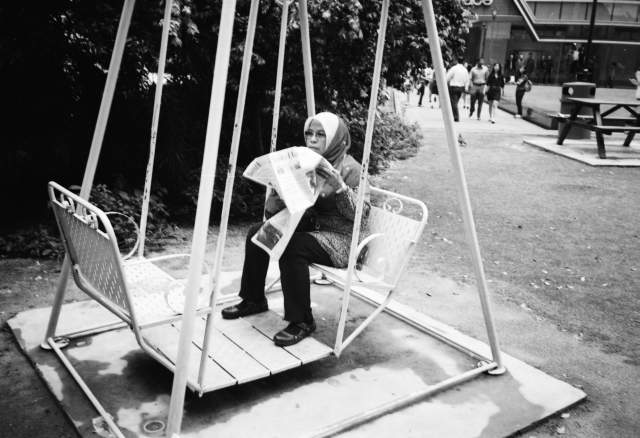 All caught up and immersed in the ever-present, not too far away from a reminder from history, of how times have changed and will change again.